Pole pricing is subject to change without notice and actual price may not match listed price on this website. Here is how the progressive vaulting pole exchange program (PV-PEP) works. The Athlete becomes a member in the PV-PEP when he purchase the first vaulting pole from High Performance Athletic Company and signs up in the annual membership registration program. The fee is eighty-five dollars $85 for annual membership per pole in the progressive vaulting pole exchange program. The Athlete must purchase the first vaulting pole (any pole manufactured by Gill Athletics) from High Performance Athletic Company for four hundred and twenty five dollars ($425) plus shipping. When the Athlete needs to migrate to the next vaulting pole he simply sends or brings back for exchange the initial pole purchased under the PV-PEP program to High Performance Athletic Co., at 444 Mansfield Ave, Haddonfield, NJ. High Performance Athletic Company will provide the next progressive vaulting pole (specified by Athlete) for a fee of two hundred dollars ($200) plus shipping. The Athlete becomes a member in the PV-PEP when he purchase the first vaulting pole from High Performance Athletic Company and signs up in the annual membership registration program. The fee is eighty-five dollars $85 per pole for annual membership in the progressive vaulting pole exchange program. The Athlete must purchase the first vaulting pole (any pole manufactured by Gill Athletics) from High Performance Athletic Company for four hundred and twenty five dollars ($425) plus shipping plus ($90). 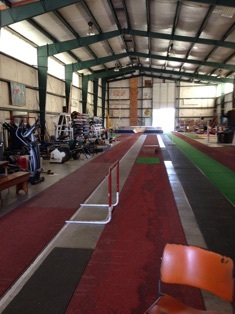 When the Athlete needs to migrate to the next vaulting pole he simply sends or brings back for like exchange the initial pole purchased under the PV-PEP program to High Performance Athletic Co., at 444 Mansfield Ave, Haddonfield, NJ. High Performance Athletic Company will provide the next progressive vaulting pole (specified by Athlete) for a fee of two hundred dollars ($200) plus shipping ($90). 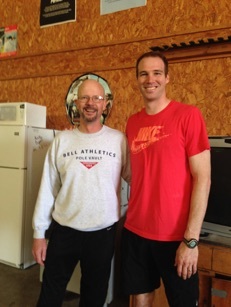 Pole-vaulting can be an expensive sport. Most Pole-vaulters require a series of 3 to 4 poles to compete at a consistent and high level. Keeping a daughter or son on the correct pole can be an ongoing cost, with poles costing from $288-$750 dollars. Not only are the poles expensive, but also in many cases it is difficult to select and attain the right poles to fit their ability. High Performance Athletic Co. maintains an inventory of poles, which enables the correct selection of poles. Access to the High Performance Athletic Co. pole pool provides members with the knowledge of what poles they need, and reduces the pole expense associated with purchasing vaulting poles as the Pole-vaulter develops. 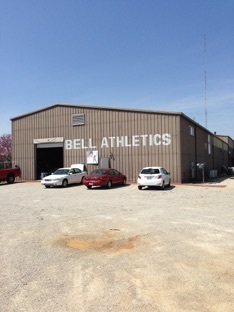 For the best Pole Vault coaching go to Bell Athletics in Jonesboro, AR. It is well worth the travel and the instructions are beyond compare. “The best in the world” all instructions are conducted directly from Earl Bell.